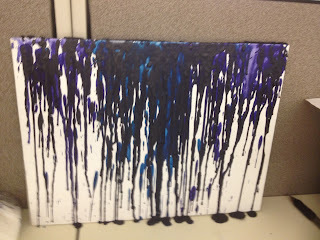 Life of a mad typer: Crayon art part 3: A crayon "Nightmare" experiment. 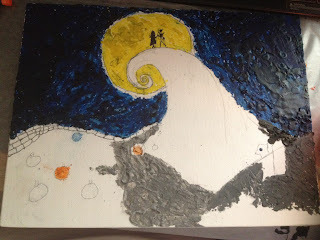 I hope I get it done before "Christmas". Crayon art part 3: A crayon "Nightmare" experiment. 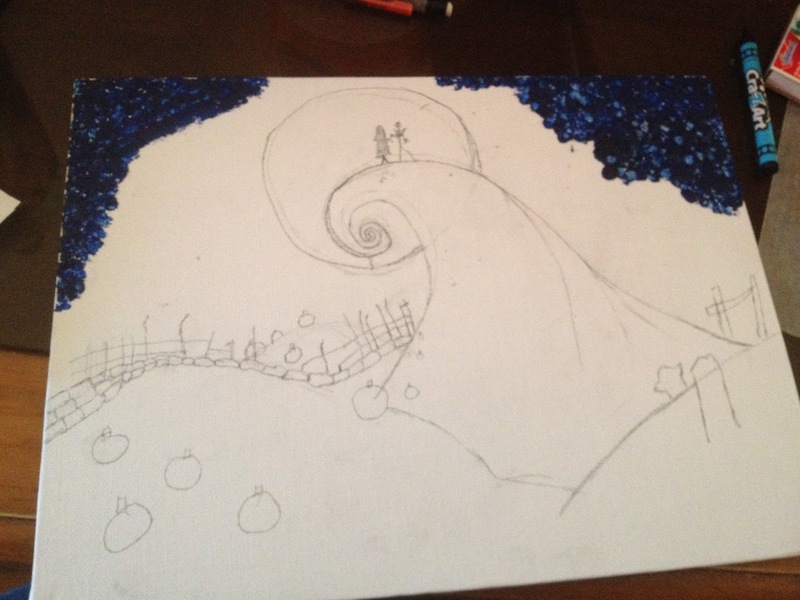 I hope I get it done before "Christmas". 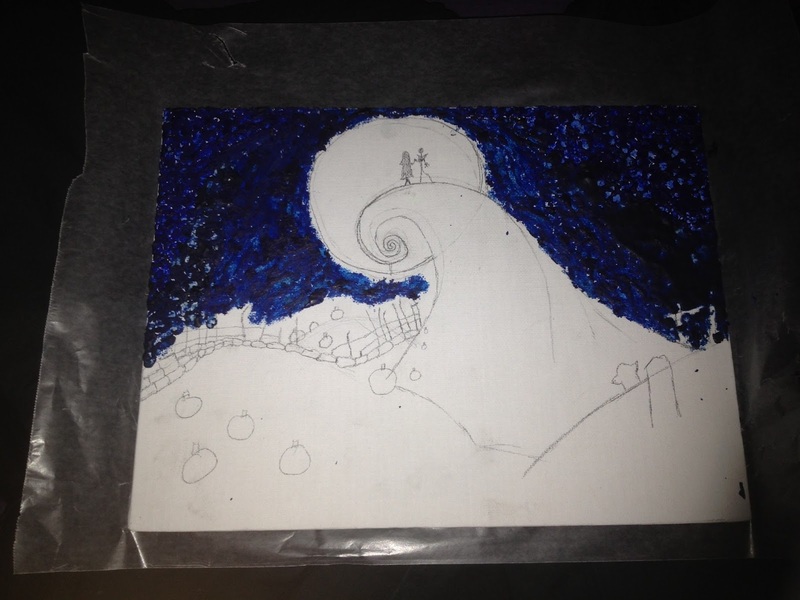 So I had been seeing these crayon art online on Pintrest and tried a few different ways such as this. 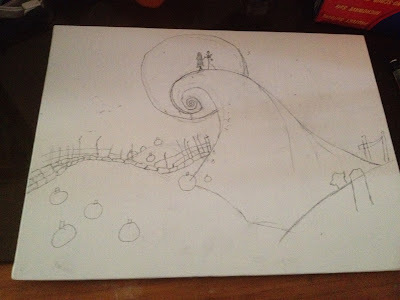 I had a special idea and could see the scene of Nightmare of Christmas in my mind. So I got to work! First I researched and found a image of the scene I was looking at. Then I had to scope how I was going to do this. I had thought about cutting the crayons up and then organizing them and hitting it with a blow dryer to melt it. Well that wouldnt work because they would just blow away! Now if I had a heat gun It would work but I was not trying to go out and buy one. This project took about a week just in the planning stage. I was on Pintrest again and I saw THIS . So then I knew how to attack this project so I started working. First I sketched my image on to a canvas board. Then I pulled out my candles. I have a ton of these. Then I got to work I used matches for the first time! 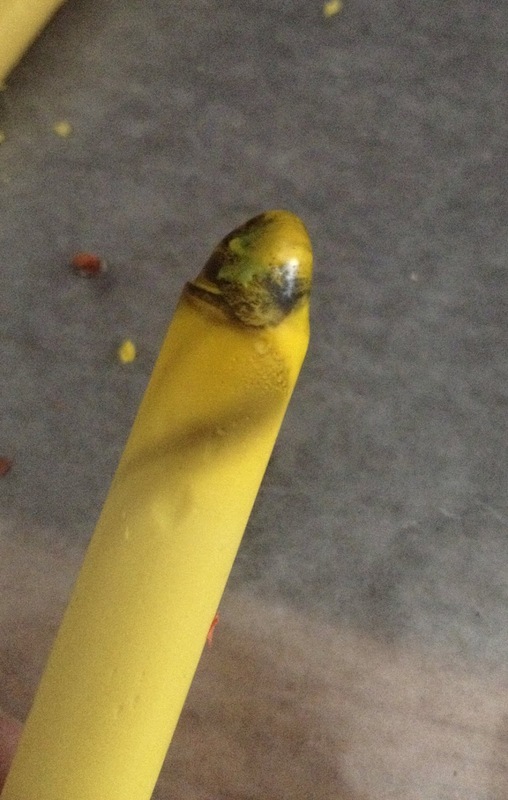 I heated the crayon till it looked like it might drip. I tried the dot method as shown in the post that inspired this but it didn't work for me even with crayola. All I got was these craters of crayon so I started to "paint" with the crayons. 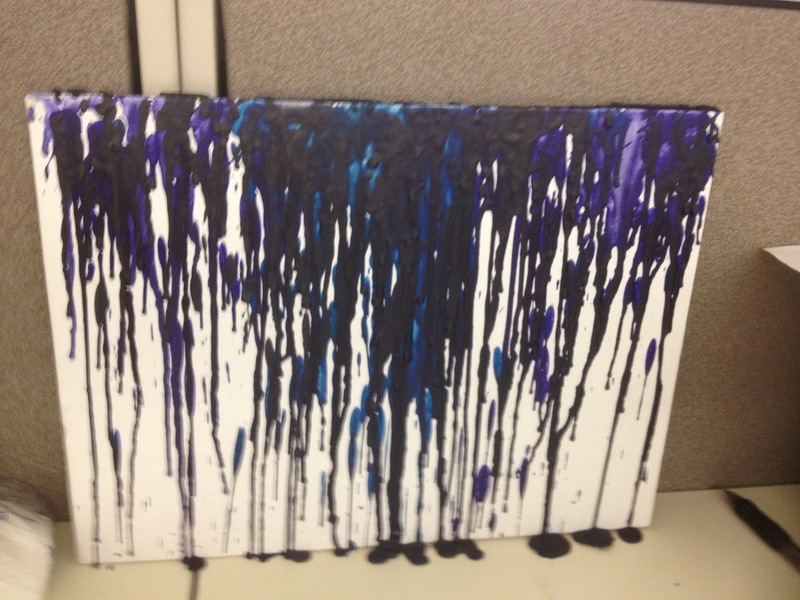 By paint I mean that I heated up the crayons to the point it almost drips and then rolled it around on the canvas. Now when I got to the moon I ran into some issues. 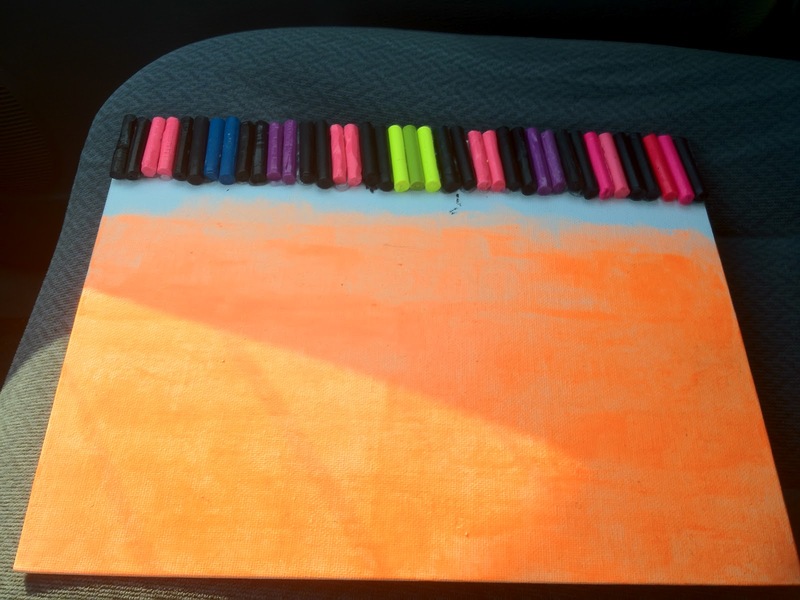 It may be because of the candles I used because they were painted but the lighter crayons burned when I tried to heat them up. (I'm going to try this again i the future with plain white ones next time. )Once I burned down the candle and it was just puddle of wax and dropped the match into it. 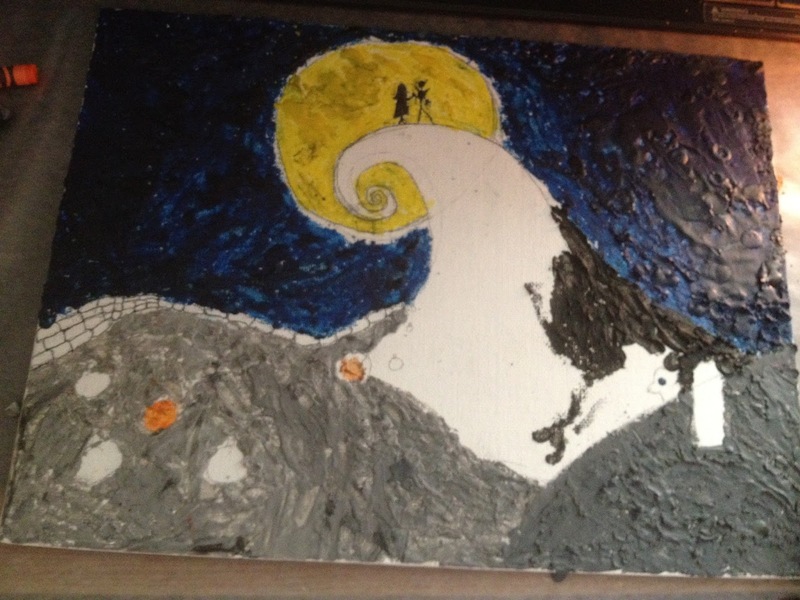 I was finally able do the moon and the ground without blackening the crayon. 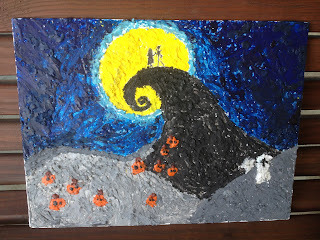 I loved making this and thinking about making more including a Nightmare before Christmas acrylic painting. Halloween is coming up and I'm working on all kids of ideas! 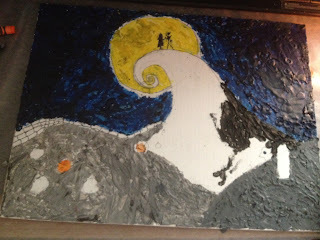 Labels: art, arts and crafts, crayon, crayon art, Nightmare before Christmas. Wow, that takes some talent, which I have none of! haha Very nice! I'm a photo copy I can copy and image but making my own is hard for me. I need something to look at when I draw. I would love to learn how to do this with crayons. 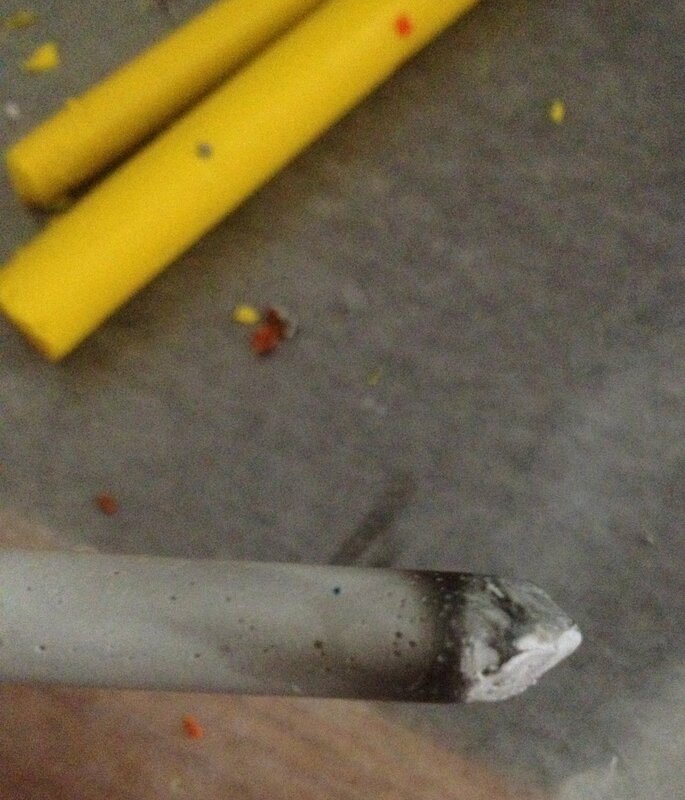 My kids would love to use their old crayons to create with like this. Thanks for sharing this idea! Your welcome! 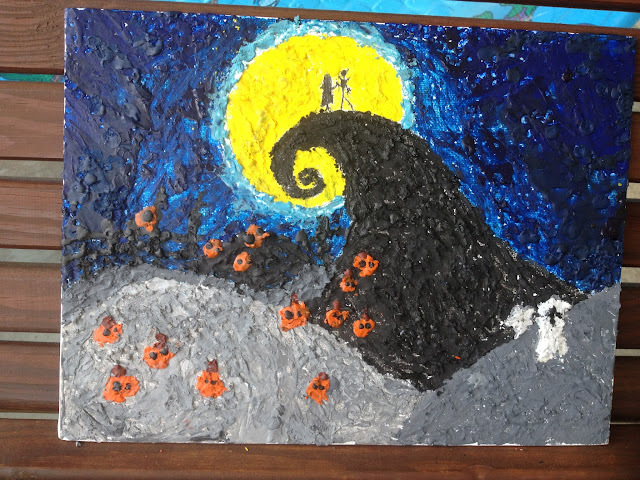 I owe it all to pintrest. This is awesome! Such a great halloween/christmas decoration! Thank you :) I am really getting into this whole crayon phase. Wow that is great....I love it!! !